Hashtag contests that engage fans and followers. 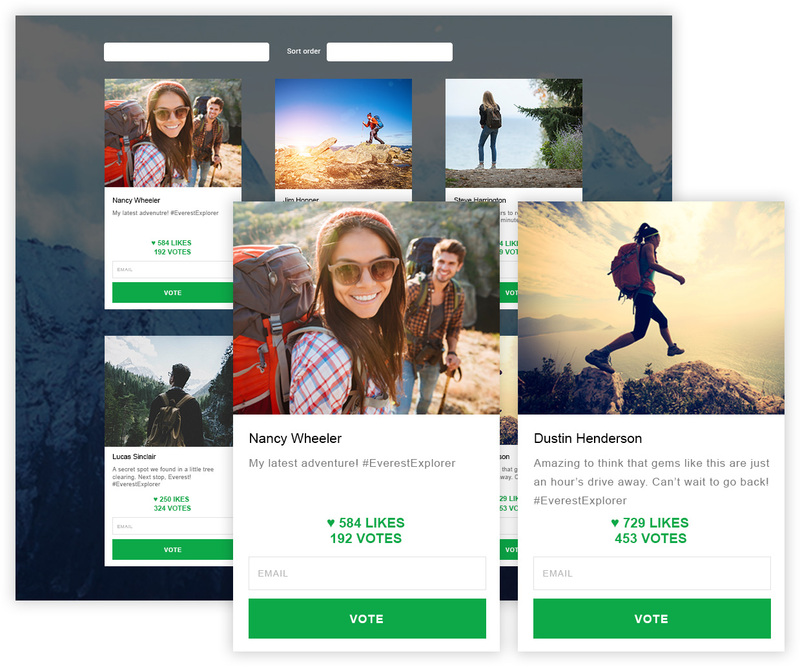 Wishpond’s hashtag contest tool makes it easy to build and run a hashtag photo contest on Instagram, Facebook, and more. 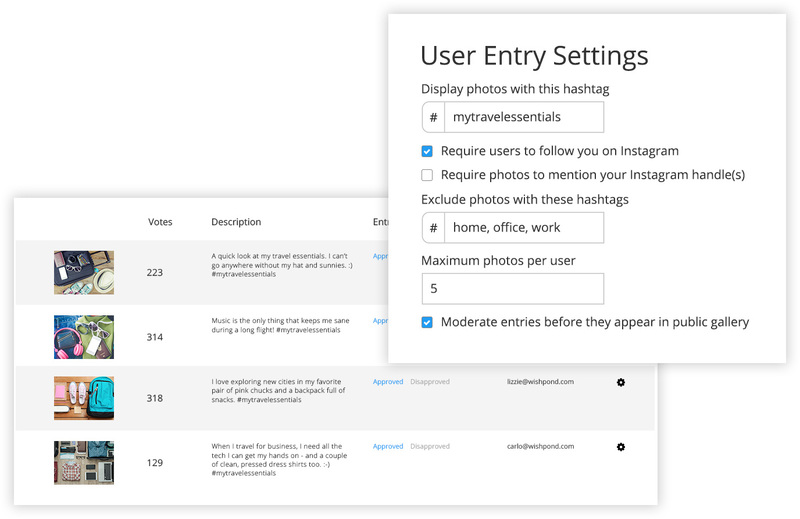 Hashtag contest entries automatically get added to a gallery that shows photo captions, entrants, and votes. Collect photos using a branded Instagram hashtag. 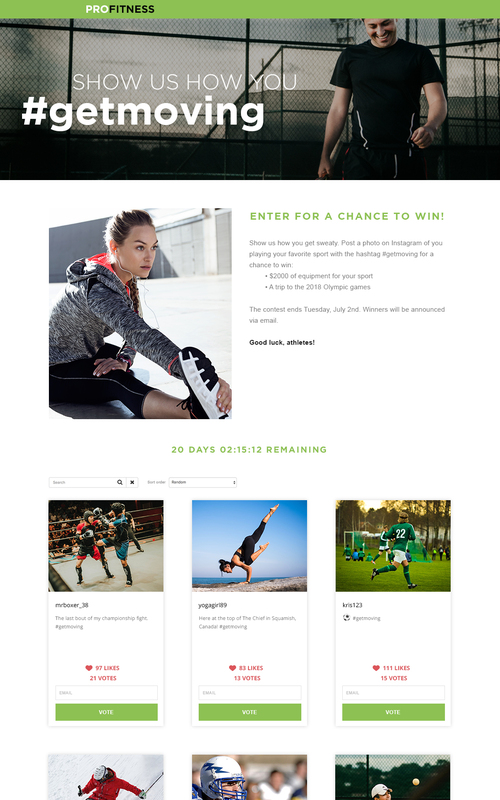 Each photo contest entry gets its own unique URL to help your contest go viral. 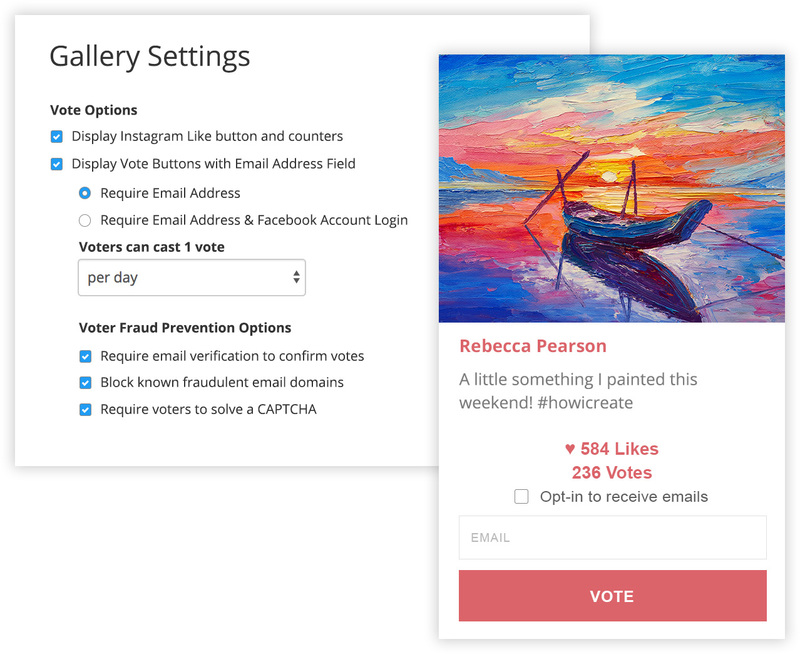 Add voting to your photo contest and collect voter information. Require email addresses for votes, enable CAPTCHA voting, and limit voter participation. Add an Instagram like button and show Instagram likes. 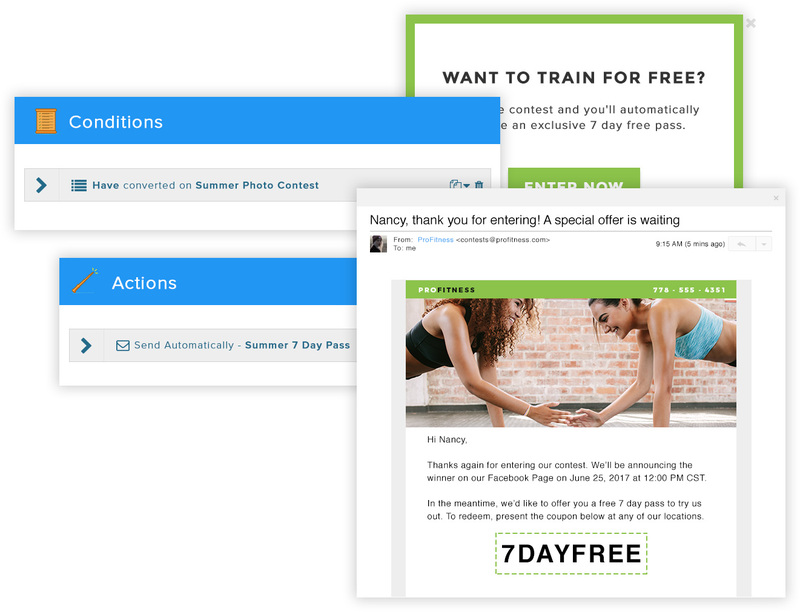 Auto-approve entries, or moderate submissions before they appear in your gallery. 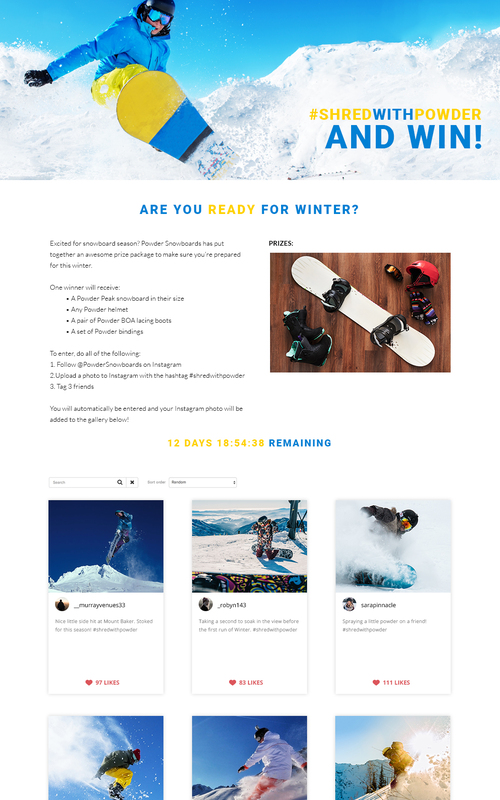 Require entrants to follow you on Instagram or @mention your business. Exclude photos containing specific hashtags. 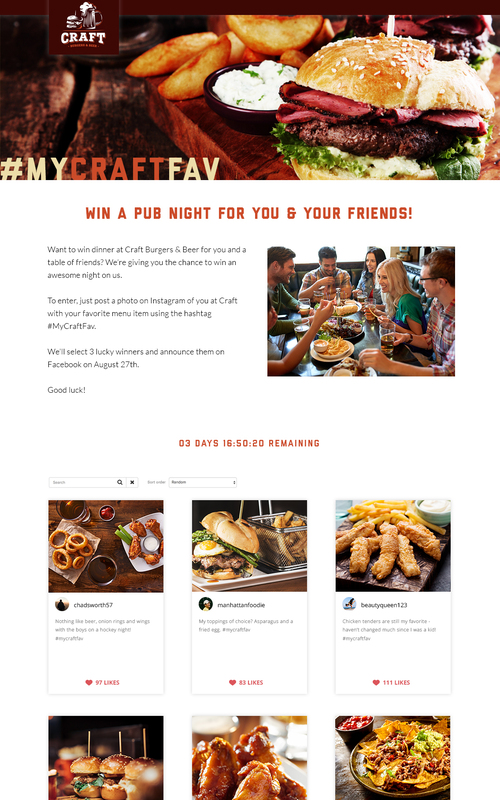 Wishpond’s hashtag contest builder automatically creates contests that look great on desktop, tablet & mobile devices, no coding required.  With more than half of your website visitors arriving via a mobile device, this is crucial to getting more entrants. 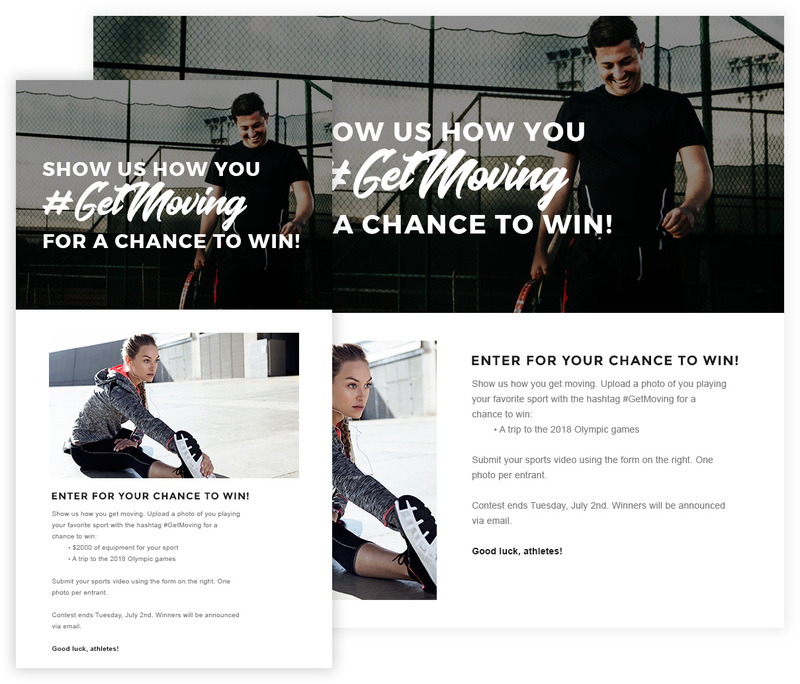 Wishpond’s flexible contest and promotion tools give you complete control over every aspect of your campaign. With Wishpond's 300+ integrations - including email, analytics, sales, payment & collaboration apps - you can be sure we fit right in with the tools you already use.